Responsible for the oversight of day-to-day production activities within the injection molding function. Ensuring appropriate processes are utilized to ensure high product yield. Ensure processes maximize product output and ensure safe, efficient operations by developing new processes and optimizing current processes. Troubleshoot molding issues by evaluating the molded parts, machine, support equipment, and/or raw materials in order to determine problems and optimize process. Assist in the technical development of injection molding employees. Other duties that ensure production/quality targets are achieved. Minimum of Bachelor’s Degree in Plastics Technology, or related engineering discipline. Extensive experience and/or master molder certification may be substituted for degree requirement. Must have strong verifiable injection molding/tooling experience. 3-5 years of experience providing technical support within an automotive production facility. Bolta is one of the leading specialists in surface finishing in the automobile industry. Providing “High Performance Surface Technologies”, the company founded in Nuremberg in 1921 manufactures integrated modules as well as individual parts, like nameplates and decorative trims, for the international automotive industry. 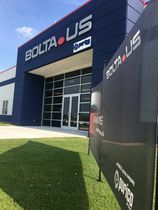 Thanks to the three-dimensional production competence on a global stage – Injection Molding, Surface Finishing, Electroplating and Assembly – Bolta is setting new standards by exceeding the highest level of quality standards in production as well as in the field of staff development. 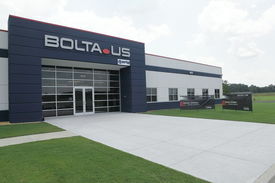 At the new production facility in Tuscaloosa, Bolta US currently employees over 200 team members. Globally, the Bolta Group employs over 3,200 people.